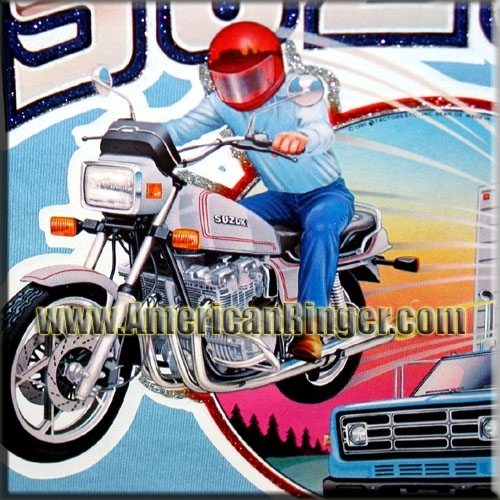 original vintage Suzuki print from 1980!! 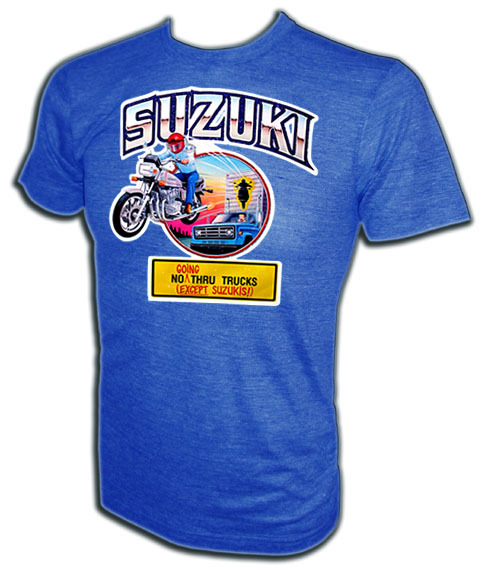 Extremely rare 1980 heat transfer iron-on t-shirt of the great 750 GSX by Suzuki. How do we know this is a GSX? Check out the third pic a Suzuki fanatic sent us... looks like the stand-in model the artist used! Sweet! 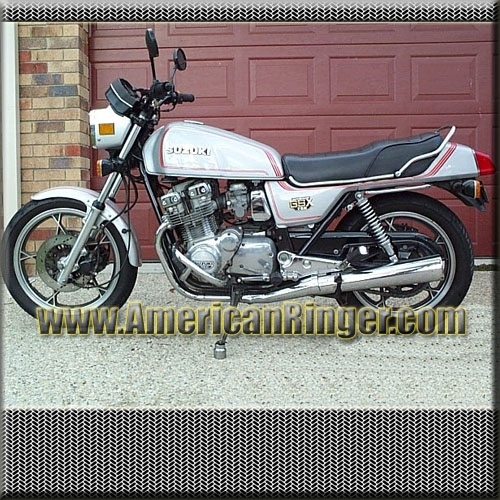 A vintage American Ringer EXCLUSIVE, RARE AND HIGHLY COLLECTIBLE! These shirts are extremely difficult vintage items to find and will sell out very quickly so get yours today! AmericanRinger.com acquired these rare vintage shirts and NOBODY ELSE HAS THEM! This is the real deal vintage stuff and once they are gone they will be gone forever.